SYNC 3 Available Vernon, Kelowna, Okanagan, BC. 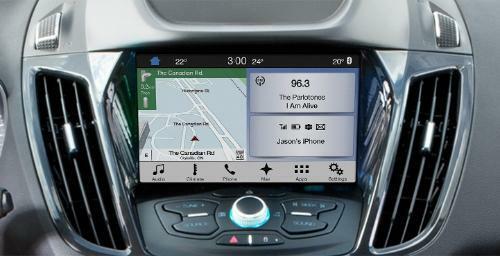 The popular infotainment system for Ford vehicles, SYNC®, has been updated for new models. SYNC® 3 is the latest version, which has been completely redesigned to appeal to buyers. The goal with SYNC® 3 was to make improvements that would enhance the use of the infotainment system and satisfy the needs of customers. One of the biggest changes is that the new version better recognizes conversational descriptions instead of relying on specific words to provide accurate results. For example, you can say “Kelowna airport” rather than “Kelowna International Airport”, and the system will understand your meaning. This is a major benefit for those times when you may not know the exact name of a place. Commands are followed faster on SYNC® 3 to reduce your wait time when you need information. The touchscreen is also more user-friendly and feels more like a smartphone. AppLink has been integrated into this version with software updates completed automatically. You now have more options for managing your system with an upgraded touchscreen. You will notice that graphics are clearer and crisper, while information is easier to read. The touchscreen is more intuitive and gives you the ability to swipe or pinch-to-zoom just like you would on your phone. It also comes with a faster response time so you get the information you want quickly. The home screen features three separate zones, including Audio, Phone and Navigation. Use the tray along the bottom of the touchscreen to access other areas of the system with SYNC® 3. A bright background makes the screen easier to read in direct sunlight. As you travel in the evening, the background darkens to help prevent eye fatigue and reduce glare. Fonts on the large buttons of the SYNC® 3 system are easy to see and recognize even at a glance. Another change is with the integration of AppLink to SYNC® 3. Control your iPhone with voice commands to help you keep your focus on the road. You can also use the touchscreen if you have your phone stored away. Use it to find apps on your smartphone or to stream music from Spotify. Response time has been greatly reduced so that you can get results immediately. 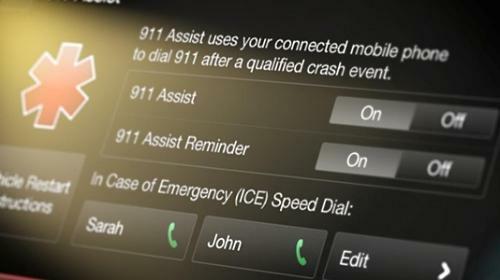 The 911 Assist® is still part of SYNC® 3 even if you don’t have a subscription. This system provides rescuers with your location and other important details, such as how many people were involved and the type of crash. Fans of Ford vehicles have come to appreciate the benefits that SYNC® provides. This latest version has made numerous changes to enhance its usability. SYNC® 3 is sure to win over even more fans and excite those who already love it. Learn more about SYNC® 3 and its capabilities at your local Okanagan Ford Dealer – Watkin Motors Ford. If you live in the Okanagan, check it out on the 2016 or newer Ford models at Watkin Motors Ford in Vernon, BC.